If there was any beer that made the beer geeks sit up more than any other in his time at Temple, it was his black IPA (closely followed by his Saison, we reckon). It was one of the very best takes on the style (if it is a style...) created Down Under, which meant one of the first questions we posed to Ron when he turned up at Homestead was: "Will there be a black IPA?" 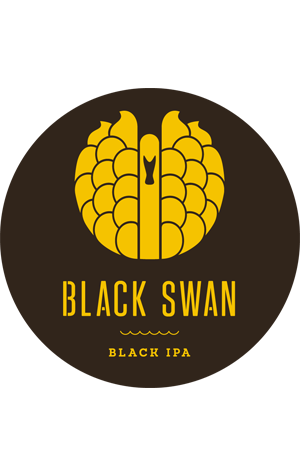 The answer was yes, with the Black Swan forming (the biggest and boldest) part of the core range at the brewery. Using a combination of American hops and Midnight Wheat to create its dense black colour without much in the way of associated roasty flavours, it's a fine example of the "Don't judge a book by its colour" nature of black IPA: close your eyes and you'd swear you were sniffing and tasting something far paler. It's no gimmick though: it's a damn tasty, full bodied and smooth drop too.